This year, our support functions – across accounts, administration, customer contact centre, HR, IT, marketing, purchasing and senior management – will move into a 16,500sq ft, two-storey open-plan office at the Botley Grange Business Park in Southampton. With parking for about 100 staff, meeting and training rooms, a gym and shower facilities, canteen and kitchen areas, Imperial House has undergone a £1 million refurbishment and another £750,000 fit-out of office equipment. The property will allow the group to gather its teams together from four existing locations across the city under one roof for the first time, and Mike Bell, our managing director, believes it signals that Imperial is firmly in its next stage of corporate development. “We’re already a good place to buy a car from, there’s not many places better than us. We look after people the right way; we prepare the products really well; we have really nice environments, and really good people to deal with. One of my personal aims this year is to be a really good place to work at as well. There are very few used car operators that really focus upon their people at work being in a good place,” said Bell. Bell hopes the head office will emphasise to Imperial’s major suppliers that it is very serious about doing business. 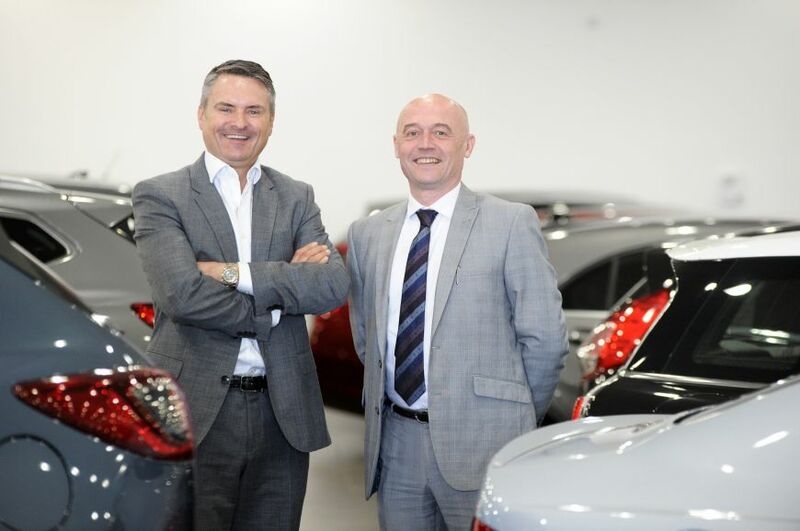 They’re still welcome to see the dealerships in operation, but there’s now a very different, more relaxed environment for building partnerships. Operations director Neil Smith believes once consumers are on the site, looking at cars for sale, they should not need to go anywhere else for information, so all stock is accompanied by dozens of images, a finance calculator, condition reports, provenance checks, the V5 and MOT status, and service history. “They shouldn’t need to ring or email us with any questions about the cars, as everything there is to know is already clearly displayed. The only time they should ring us is to ask whether the car they’re looking at is still available,” said Smith. In the background is Pinnacle, but from the point of deciding what to purchase through to the point of invoicing a sale, everything is managed through our own software. CRM, marketing, photography, preparation, logistics and deal creation are all trackable. Smith said: “We’ve spent an awful lot of money and time developing those systems, and next for us is a complete coding revamp of our website. We’ll rewrite it from the ground up and integrate it with our back-end systems.” The user experience on the website has been well ahead of the industry, but Imperial wants to keep pushing forward. “It’s about putting everything there for the consumer to digest. Omit nothing, be transparent. It sounds trite, but we are transparent. Look at our website. We even say if it’s a previous lease car or daily rental, or if from the service stamps we suspect it may have been used as a taxi. If there’s a doubt, we’ll say. “We’re really about giving the consumer every reason to buy a car, and no reason not to,” Smith added. Bell said Imperial’s growth opportunity is coming “because we’re really good at what we do, and a lot of people aren’t”. “We need to try to fill a lot of gaps in the UK and in doing so you’re more likely to become a household name than if you’ve a few big sheds in the car supermarket model. They’ll stock between 500 and 1,000 cars at four or five locations, and that’s it. It’s cost-prohibitive to use these as distribution centres, and highly unlikely someone will come back to have their car serviced. “If we can get lots of little dots on the map, we spread our name, and when things do progress to online sales we have distribution and collection points dotted around the UK. We want to be as much like a franchised dealer group as possible,” he said. Once Bell achieves the medium-term ambition for 20 successful outlets, he wants the business to be capable of expanding further next decade, with the accompanying increase in central support as necessary. “This makes us a bit future-proof. Now we’re bursting at the seams in places, but this means we can go to the 20 sites easily and well beyond that without feeling the strain,” he added. There is no pressured sell, but customers will be spoken to within a few minutes of coming on site. They are asked a maximum of three questions in the ‘meet and greet’. Firstly, “Are you appointed?”. 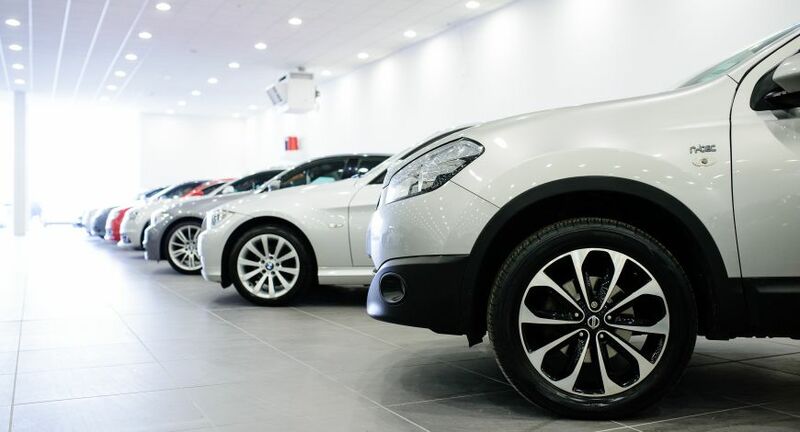 If not, then “Are you here to see a particular vehicle?”, because some people will have found the car they want on the website, but don’t want to inform the dealership they’re coming. And, if not, then “Is there a particular brand or model you’re looking for”. The sales executive will then briefly explain the quality and preparation of Imperial’s cars and leave the customer alone for 10 minutes or so to browse. Smith said it’s about being attentive, but not pressuring. We use JudgeService CSI surveys plus video and phone mystery shops to monitor the customer experience. Almost half of sales executives’ remuneration is based on their CSI performance, to keep the onus on giving a great experience. Issues are tackled in one-to-one performance reviews for all sales staff, handover specialists and site managers. Sales people are shown their video mystery shops, and asked to critique themselves. On the path to being a national business, last December the company committed to a 12-month radio advertising campaign on TalkSport to begin building Imperial Cars’ brand awareness nationally. Smith said it had previously run marketing campaigns local to its new site openings, but the cost of these mounted up, so a national campaign made sense instead. TalkSport’s audience of mostly 25- to 50-year-old men fits Imperial’s target market, and its desire is that some brand recognition is built even in areas not yet home to one of its dealerships, so that as it expands into new regions it’s not a completely cold start. Bell said: “If someone is going to change their car, generally they’ll look online. They’ll search, they’ll be a certain radius from your location and they’ll find you anyway.” He said 90% of Imperial’s business comes from people within 50 miles of its dealerships. Imperial has one PDI centre, at Eastleigh, which serves its dealerships in the south of England. By May, it will open a second on an 11-acre former BCA import centre at Portbury docks, Bristol, which will prepare cars for all sites in the midlands. Centralised PDI ensures consistency of process and quality, said Smith. It takes the responsibility away from individual sales managers who may try to save a few pounds by not repairing a scuffed alloy wheel, for example, and in doing so risk a promised quality standard. On average, the process takes eight working days from a car being acquired to being on a forecourt. But the car will be marketed online during this time, as the PDI centres also have 360-degree photo booths. Bell said from these, and the information flows coming through their management system, Imperial gains the ability to shift its stock acquisition criteria temporarily. If the business is awash with grade one cars, which require little refurbishment and leave the body repair teams low on work, Imperial’s buyers will be told to source grade two or three cars, at a price which allows for reconditioning. Interested in working for us? We are hiring! Please take a look at our current vacancies and apply today.